(AP) KINGSTON, Jamaica - Rum, the sugar-based liquor that has fueled the development of the Caribbean for centuries, has become the focus of an increasingly bitter dispute with the U.S.
Small producers in countries such as Antigua, Guyana and Jamaica complain they are being punched by unfair trade and marketing advantages for global beverage corporations operating in U.S. territories, and say U.S. rum subsidies threaten to drive some beloved top-shelf Caribbean labels out of business, or force them to sell out. "The amounts that are being doled out now are staggering," said Frank Ward, chairman of the West Indies Rum & Spirits Producers' Association. "We were able to live with the level of U.S. subsidies as they once were. But the massive increases, we believe, have skewed the market." It's a high stakes battle because rum, first developed on Caribbean sugar plantations in the 17th century and deeply engrained in local culture and history, is one of the few competitive industries for the tourism-dependent region's tiny, vulnerable economies. The tipple, which can range from colorless to coppery, from almost tasteless to richly layered, generates roughly $500 million in foreign exchange for independent Caribbean countries and more than $250 million in tax revenue. The subsidies come from money raised through an excise tax on liquor sold in the United States. Under an obscure federal law, almost all of the money generated by rum goes to the treasuries of Puerto Rico and the U.S. Virgin Islands. Those tropical territories in turn hand a share of it to the producers as a subsidy to do business there. Distillers in other countries say they lived fairly comfortably with the U.S. subsidies for decades, even if they thought the rebates gave advantages to rum giant Bacardi Limited in Puerto Rico and Cruzan Rum, a U.S. Virgin Islands brand now owned by Beam Inc., the U.S. maker of spirits such as Jim Beam and Maker's Mark. But they are alarmed by recent deals that sharply increased the subsidies for already powerful corporations in the two territories. In the Virgin Islands, London-based Diageo PLC signed a long-term lease in 2009 to build a rum distillery on St. Croix making the Captain Morgan brand in exchange for a chunk of the excise-tax revenue estimated at $2.7 billion over 30 years. It will start full production next fiscal year. Diageo also gets government marketing support and generous subsidies for molasses, the syrupy byproduct of sugar refining that is a key ingredient in most rum. The moves have prompted some competing Caribbean distillers to urge their governments to complain to the World Trade Organization, fearing that the U.S. subsidies may undermine age-old rum operations in the Caribbean, the global center of production, and motivate other multinational distillers to relocate to U.S. territories. 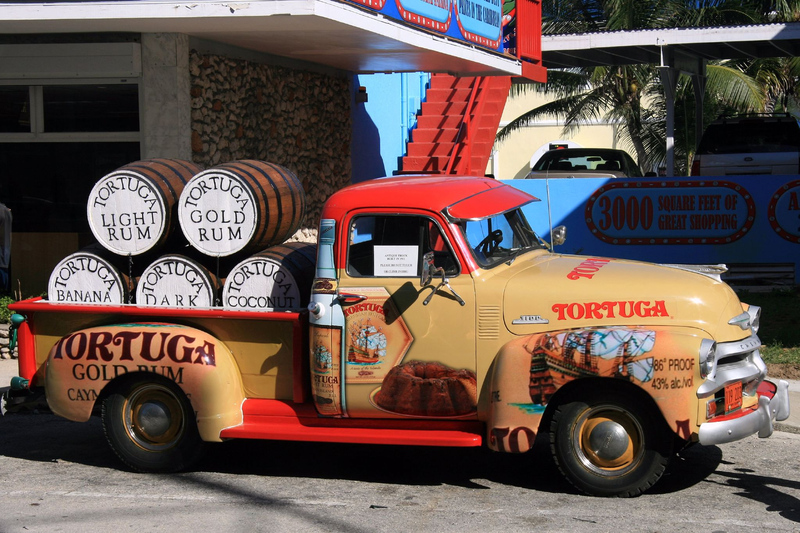 "Our Caribbean distilleries need to export rum in order to survive. But bigger subsidies in the U.S. islands means we don't get a level playing field for our exports, and it's going to affect both small and large producers here," said Anthony Bento, managing director of the 80-year-old Antigua company that makes English Harbour Rum in copper stills and ages it in oak barrels. Clifton Shillingford of Shillingford Estates Ltd, a small Dominica distiller that makes its Macourcherie rums from local sugar cane juice instead of molasses, said the subsidies for big global brands in the U.S. islands will "destroy" his rum business. Diageo argues the complaints of smaller producers are overblown. Spokesperson Brooke Lawer says the subsidies the British company receives are similar to incentives from U.S. states or other countries to attract industry and do not create a competitive disadvantage. Quoting figures from the Geneva-based International Trade Center, Diageo says Caribbean Community rum exports to the U.S. increased by 18 percent in the first half of 2012 over the same period last year. Ward said that's misleading because most of the growth is due to a temporary inventory surge by a single Barbados company. He said other major exporters were down during that same period. He insisted that some Caribbean distillers are already being hurt by the subsidies now, even if most of the impact will come as the subsidies mount in coming years. Small rum distillers in Central American nations such as Guatemala and Nicaragua also have concerns about the fairness of the U.S. subsidy regime but "they really don't feel they have a voice to challenge it with the United States," said Edward Hamilton, a Chicago-area man who authored a rum guide and runs the "Ministry of Rum" website. So far, no Caribbean governments have declared their intentions to challenge the United States, the region's biggest trading partner, with a WTO complaint. The Caribbean Community, which groups 15 Caribbean nations and dependencies, said it is trying to achieve a "negotiated settlement" with Washington. The bloc recently sent a letter to President Barack Obama and regional officials have had talks with U.S. officials, though little progress seems likely in an election year. Complicating matters, some of distillers that are complaining about unfair U.S. subsidies themselves provide bulk rum to Diageo. As a result of luring Diageo and its Captain Morgan brand, the total amount of the Virgin Islands' federal rum subsidies has skyrocketed due to increased production. In 2007, total rebate revenues in the U.S. Virgin Islands were $86.7 million. That rose to $199.4 million this year, the first year with partial Diageo production on struggling St. Croix, where a massive refinery closed down earlier this year. Revenues for 2013, the first full year of Diageo production, are projected to be in the range of $236 to $276 million, according to government spokesman Jean Greaux. Greaux argued that the rum deals and access to the national bond markets provided by the rebate revenues were allowing the islands to avoid spending cuts "that would have been economically and socially devastating."